The Carey Medal recipient for 2016 is Nicole Bieske, who is currently the Chair of the International Board of Amnesty International. Nicole was a student at Carey from 1990–1991. She was a member of Gadsden House. Nicole started her career as a corporate lawyer but then chose education, career and volunteer opportunities that have taken her in a very different direction. While completing her PhD, Nicole volunteered at Amnesty International and worked as an academic in the Faculty of Law at Monash University and as a human rights consultant for the United Nations. She has participated in international delegations to United Nations meetings and spoken in the media on a range of issues. Since completing her PhD, Nicole has worked for not-for-profit organisations including as CEO at Inner Melbourne Community Legal. She currently works as the Humanitarian Advocacy Lead at Oxfam Australia. Nicole became a member of Amnesty International in 1998. She has undertaken a number of roles both within the Australian branch of Amnesty International and at an international level. Nicole was on the Board of Amnesty International Australia for over seven years and was the National President (Chair) of that Board for over three years. Prior to being on the Board, she was a member of the National Legal Team and she appeared before Parliamentary Committees on behalf of Amnesty International Australia. She was a member of the Global Governance Task force and is currently Chair of the International Board of Amnesty International. Last year she was re-elected for a second four-year term. As Chair of the Board, she oversees the strategic direction of Amnesty International and leads a board of eleven members from around the world. All Nicole’s work for Amnesty International is voluntary and over 13 years she has committed countless hours in her commitment to human rights. As Chair of the International Board she works to an international 24-hour clock and she often takes leave from work to travel for Amnesty International. In 2014 she stated, ‘I have seen the impact that individual people working together can have to achieve social change. And I’m inspired in my governance work to position Amnesty International to have a major impact on the human rights of people around the world’. 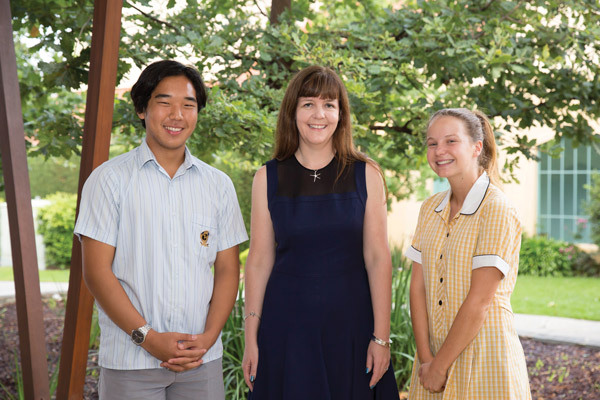 Even with her work and voluntary commitments, Nicole has continued to have a strong relationship with the Carey community, speaking at careers evenings and at the 2016 International Women’s Day Breakfast. The Carey Medal Committee believes that Nicole is a very worthy recipient of the Carey Medal. She has given exceptional and outstanding service in the human rights field, especially through her work with Amnesty International.